PUR stainless steel style horizontal FM with1 mineral clear filter. PUR is certified to reduce over 70 contaminants, including 99% of lead, 92% of agricultural pesticide and 96% mercury. PUR is certified to reduce 10x more contaminants than the leading pitcher. This also filters water over natural minerals for great taste. 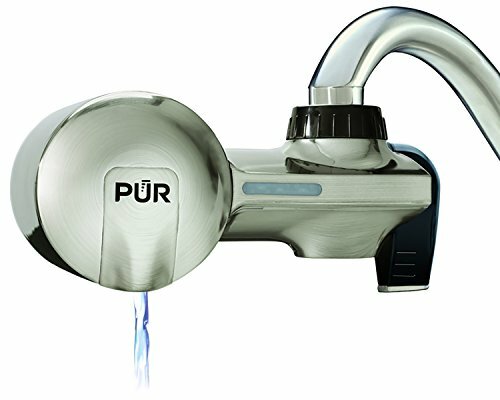 PUR ADVANCED FAUCET WATER FILTER: PUR Advanced Faucet Filter in Stainless Steel Style attaches to your sink faucet, for easy, quick access to cleaner, great-tasting water. A CleanSensor Monitor displays the filter status, so you know it needs replacement.